Photo: The Mon Cultural Museum. 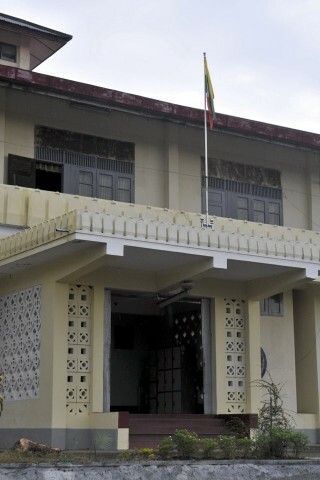 If dimly lit, dusty collections of moderately interesting artefacts with little or no English explanations is your cup of tea then you’ll like Mawlamyine’s Mon Cultural Museum. It’s a shame really as the subject matter is fascinating and they do have a fair collection. But in lieu of a make-over, we have to say that Dawei’s new and well laid out Cultural Museum is much better if you’re heading that way. As some of the earliest inhabitants of Southeast Asia, Mon culture and civilisation once dominated the entire region from Southern China down to the Malay Peninsula, and from Burma to what is today Vietnam. Little is known of their history. Mention Mon people today and most travellers will assume you’re mispronouncing Hmong. We’re guessing most of the treasures discovered among the ruins of the nearby ancient Mon cities of Thaton, Savarnabhumi and so on are housed in the national museum in Yangon, since Mawlamyine’s display consists of some local-style knick-knacks, religious paraphernalia, a bunch of ancient Buddha images, a couple of Mon steles and an old British canon. It’s worth a peek if you’re passing anyway but don’t go too far out of your way, especially if you are visiting Dawei afterwards.